When I decided to transition from being a full-time worker to part-time worker in order to spend more time pursuing photography, it was a huge financial risk. Yes, my income was cut in half, but there are some things in life that money can’t buy. It has been an amazing year that has exceeded even my wildest dreams and expectations. And it was only made possible because of all of my clients who believed in me and chose to hire me as their photographer. Words can’t express how thankful I am to each of you. Every single project I worked on, whether big or small, is an experience I will always remember. Now that the sentimental stuff is out of the way, I’d like to share my personal favorites from each project I’ve worked on this year.Things got off to a slow start with my first session not beginning until February 1. One of my wife’s good friends asked me to take pictures of their son’s “Rock” (aka baby’s first birthday). Next up is Sunny, who asked me to capture his surprise proposal. He flew in from San Francisco on Valentine’s Day to surprise his girlfriend. Whitney Barnes was working at Samsung as an engineer when she contacted me for some studio portraits. She broke all of the stereotypes I had about engineers. She’s now pursuing a career in the entertainment field full time. ­Do a search for 휘트니가 누구야? on Naver.com and you can see her videos. In April, Vanchestca contacted me for some engagement pictures. She ended up convincing her friends Belinda & Canaan to also get some pictures. 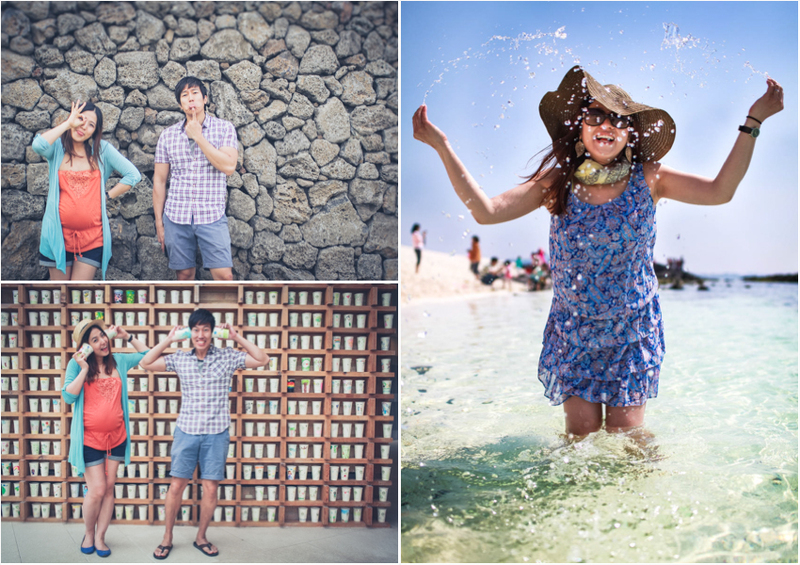 Both couples were from Hong Kong and I had a blast taking their pictures. On May 18, the World Cup of Photography contacted me to inform me that I had won 1st place in their professional wedding photo competition. My first prize as a photographer! I received a blue ribbon, a 32gb SD card, and a one-year subscription to Adobe’s cloud. 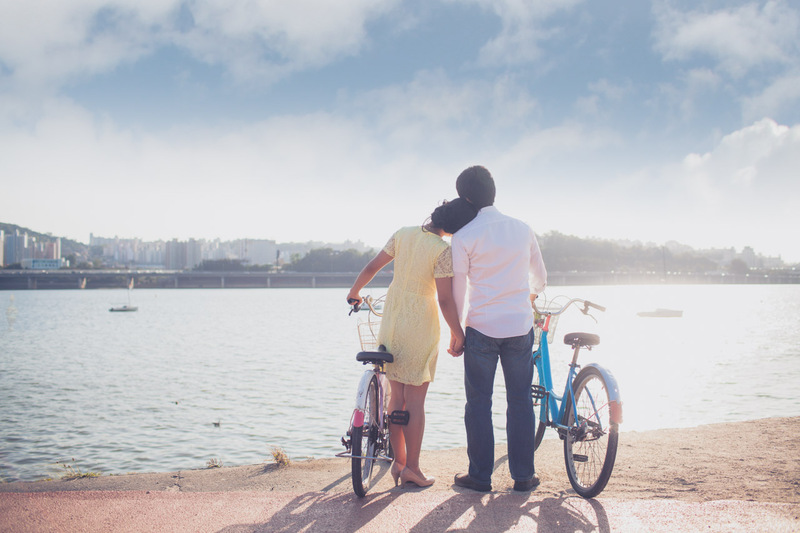 I took a break in May and went on a babymoon with my wife to Jeju Island. It was our first time there and I was blown away by the island’s beauty. 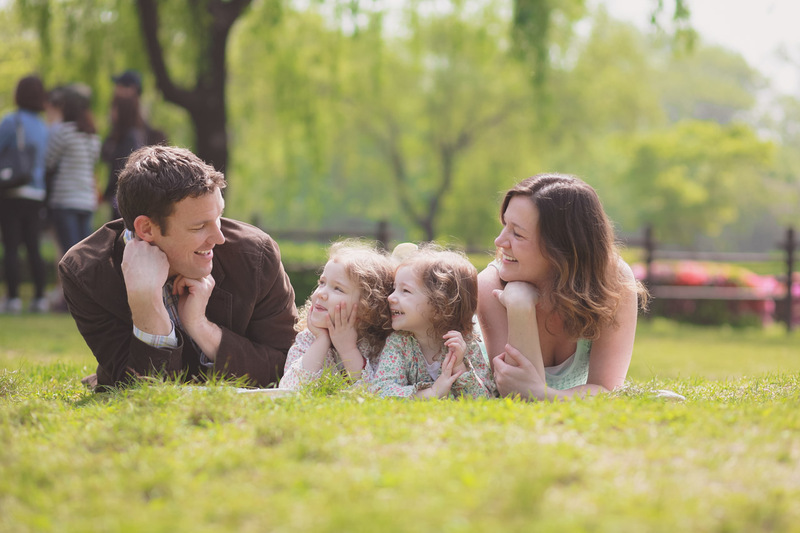 After coming back to Korea, I went right back to work and had a family portrait session with the Younger family. They were one of the two winners of my photography auction held at my church. 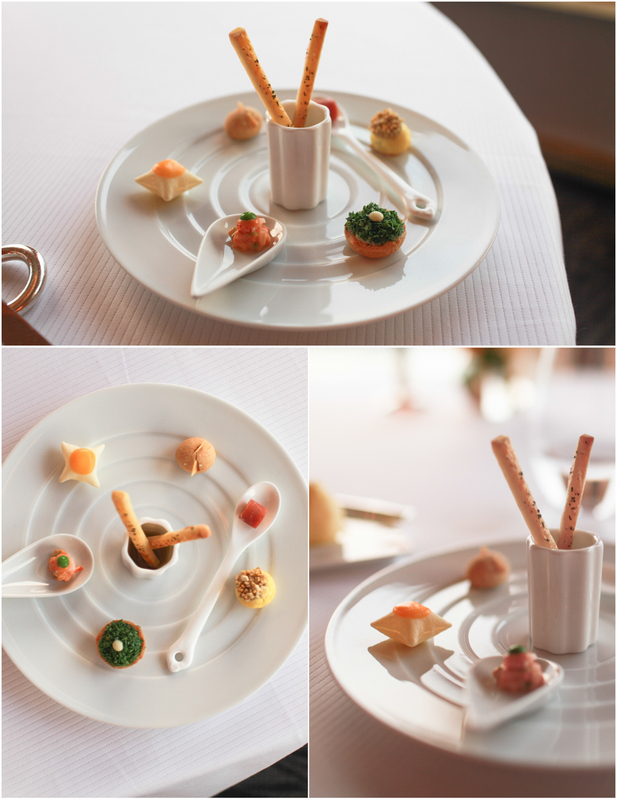 May 22 was my anniversary, so I surprised my wife by taking her to Pierre Gagnaire, one of the only Michelin-starred restaurants in Korea. It was probably the most expensive meal I’ll ever eat, but it was well worth it. It was also the last expensive dinner my wife and I would be able to enjoy before the birth of our son. On May 27, I met with a Bahraini musician named Hasan living in Seoul. 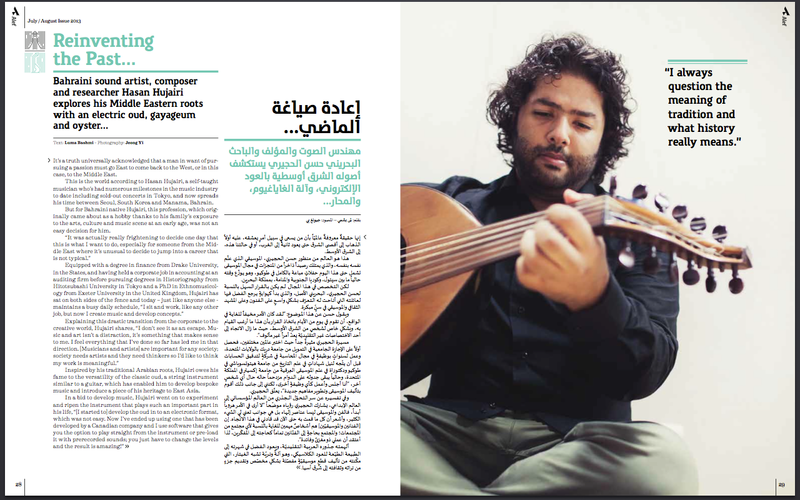 Qatari-based Alef magazine asked me to do an editorial piece. It was my first official magazine publication! It was officially published in their August issue. June got started with an engagement session at Sunyodo Park. Juliana & Hans came all the way from Pohang to take the pictures. Hans is a film guy who would later help me find an assistant for a one of my future gigs (more on that to come below). I finally had some time in June, so I decided to take my wife’s maternity pictures. We were too lazy to head to the studio, so we just used the wall in our apartment as the backdrop. It’s amazing what you can do with photoshop. I thought I was done in June, but then I received a late night message to film an indie band. The father told me it was a father-son duo. Unfortunately, this was a private gig and I don’t have the video to show. 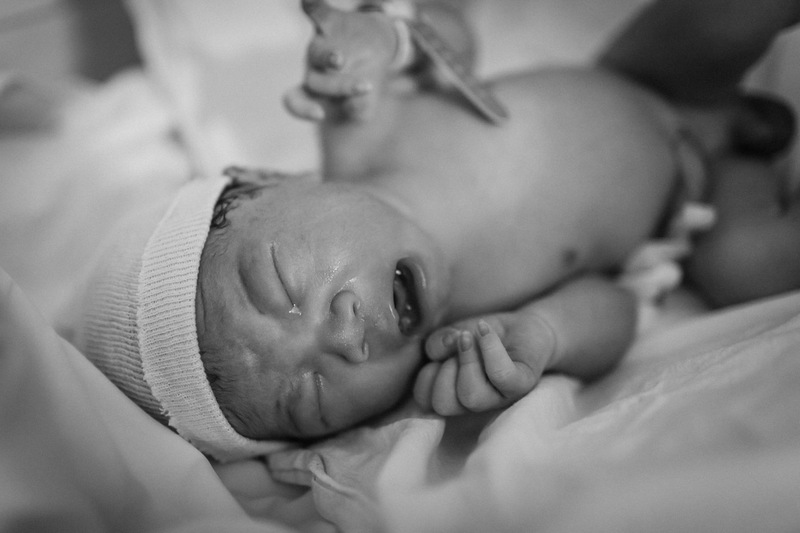 July 1 marked my transition into fatherhood. 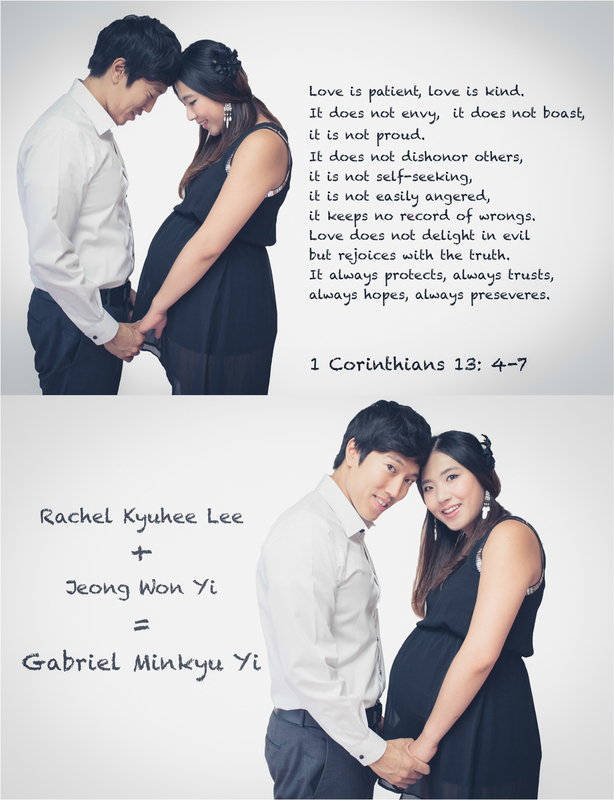 Gabriel Minkyu Yi was born on July 1st. My new duties as a father kept me quite busy and I only had one session in July. It was with Jammie & Etienne who were newlyweds from the US. They were kind enough to buy Gabriel a present: cute Mickey Mouse overalls! 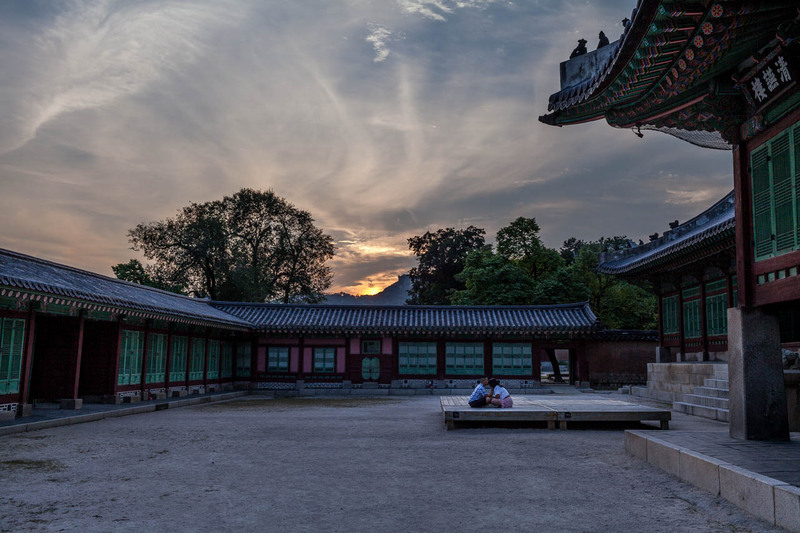 In August, I found myself in Pohang for my first photography-related business trip. 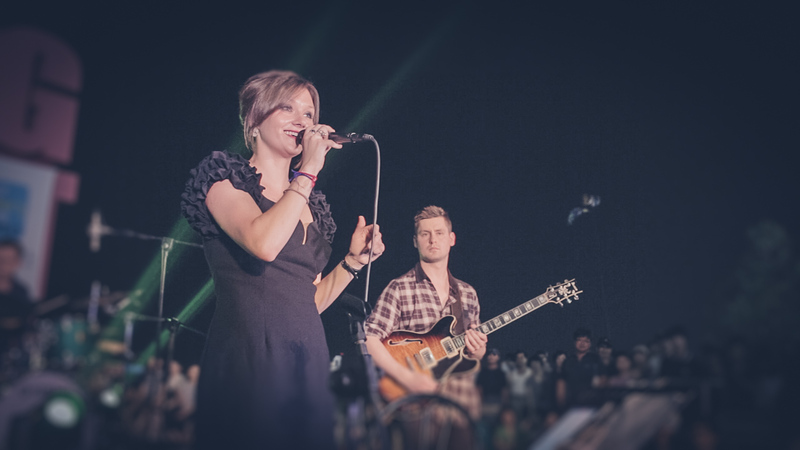 I was there for a week filming behind-the-scenes footage of the Australian Jazz singer Briana Cowlishaw. She performed at the Chilpo Jazz Festival. I contacted my former client, Hans, to find me an assistant shooter. If it weren’t for him, I would’ve struggled to get some of the footage! Thanks Hans! 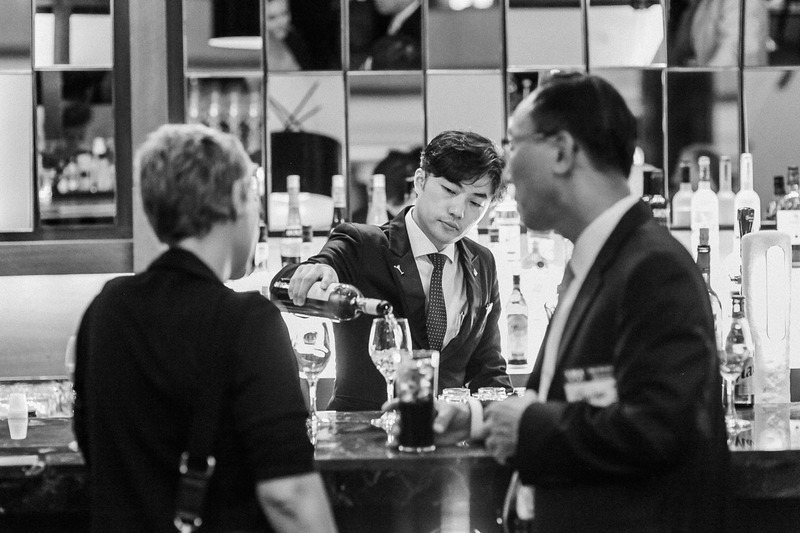 Mid-August, I was contacted by Chris Menyen, the founder of the Guanxi Network, to take pictures at a business networking event. I would do one more event with him in September. At the end of the month, I took Gabriel to the studio to take some pictures. I rented the studio for one hour, but he ended up crying for 45 minutes. I was able to get some normal pictures, but this crying one is still my favorite. 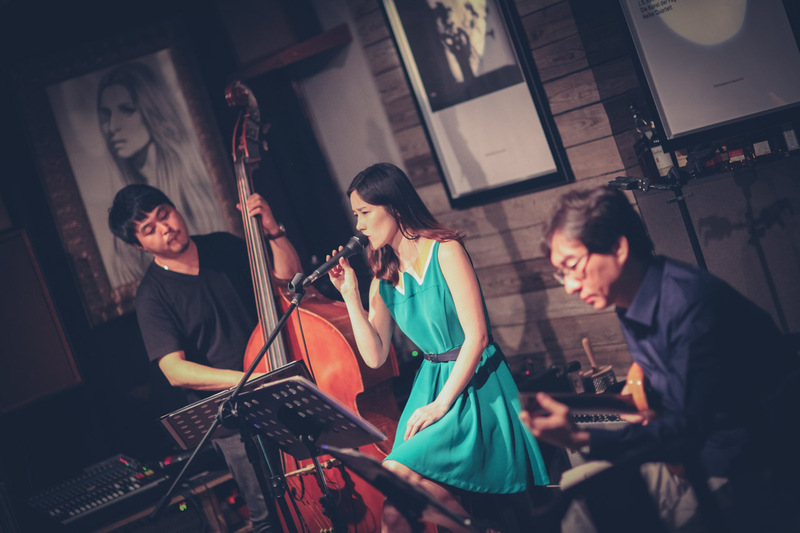 I began September by going to a music cafe near my apartment to watch a live jazz band. People probably thought my wife and I were crazy for bringing Gabriel out late at night, but he somehow managed to sleep through the whole concert. The next day, I took pictures at Jiyoon’s daughter’s “Rock”. Jiyoon is one of my wife’s closest friends, and we’ve all known each other for more than 10 years. Mid-September, I took pre-wedding photos of Cornel & Anneke. Maybe not really pre-wedding because they were already married. I guess I should call them “after-wedding” photos…I had a difficult time choosing my favorite from their session because they were all so beautiful! It was also during this time that one of the managers at Cosmai Café in Milano, Italy, asked to use one of my pictures at an exhibition. 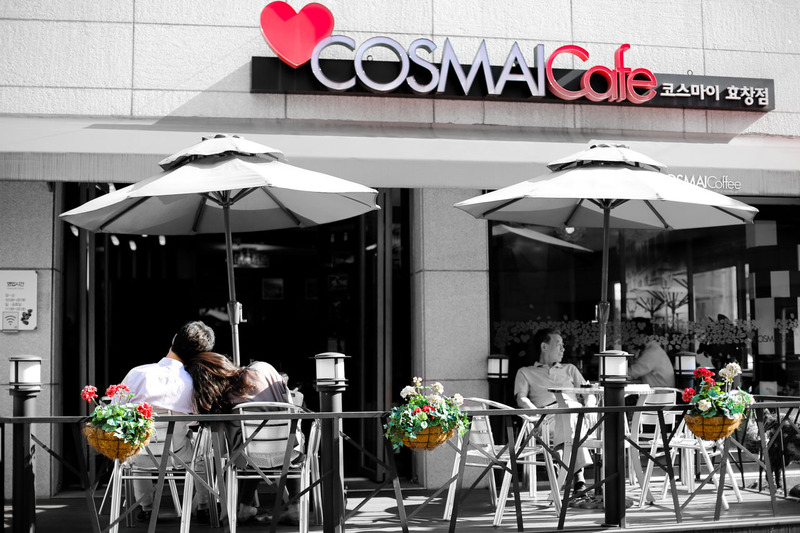 It was a picture I took during an engagement session inside of Cosmai Café in Seoul. I had no idea it was an Italian-owned café! The end of the month found me doing another engagement session with Joanne & Christian. They are both from the states, but Christian is currently stationed in Korea for military service. October began with another secret proposal. 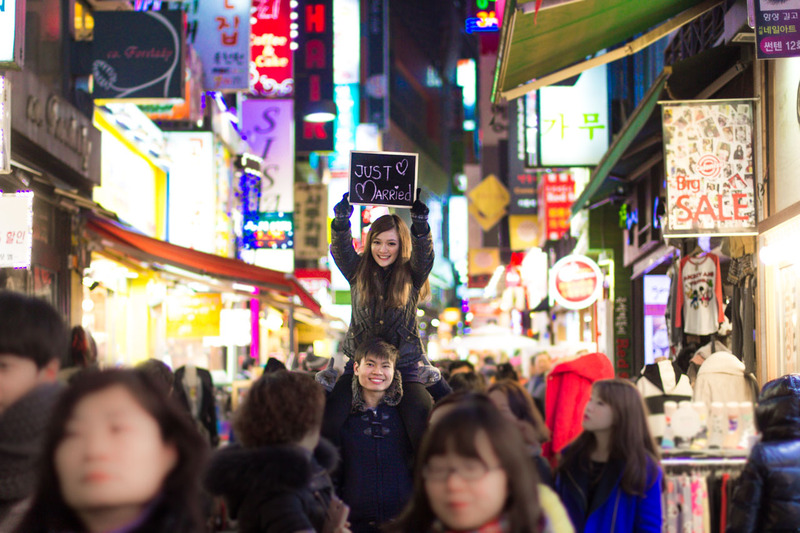 I pretended to be filming a documentary at Namsan Tower and asked Claudia & Sam to be in the film in return for an iPad. Of course Sam was in on the secret. If you want all the juicy details of the proposal, just watch the video. At the end of the first week, I took a break and went to Yeoido for some personal family portraits and portraits of my friend’s family. 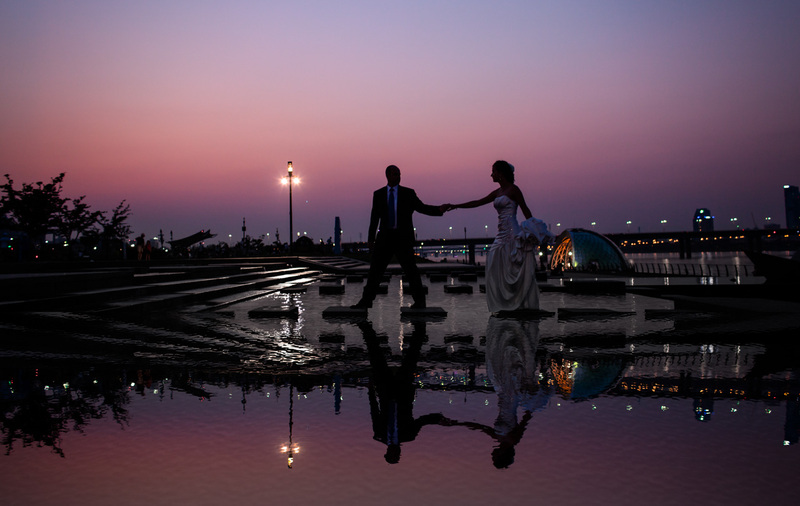 You may remember this couple from my wedding picture that won first place. The second week of October found me at Yongsan Family Park for Rachel & Robert’s pre-wedding/engagement photos. They were the second winners of my photography auction. After Yongsan Family Park, we went over to Ichon Han River Park. 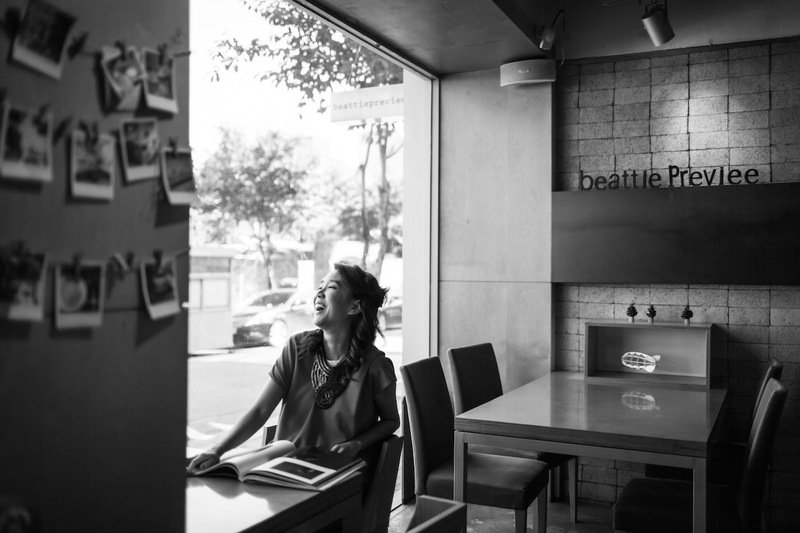 The third week of October had me at Hapjeong for a portrait session. Gloria wanted portraits to commemorate her transition into her 30s! What a great idea! 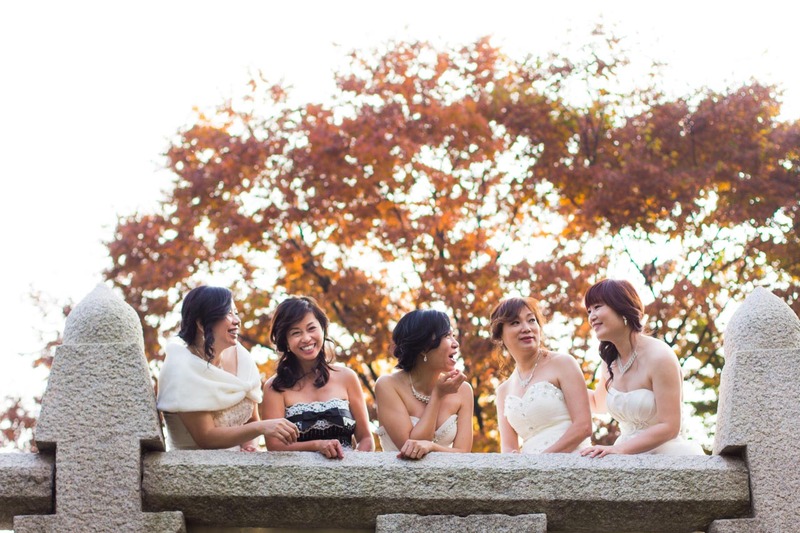 November started with my most interesting photo session to date: A session with 5 ladies from Hong Kong who wanted to take pictures in wedding dresses. Some were married and some were still single. I was nervous about this one, but it ended up being an absolute blast! 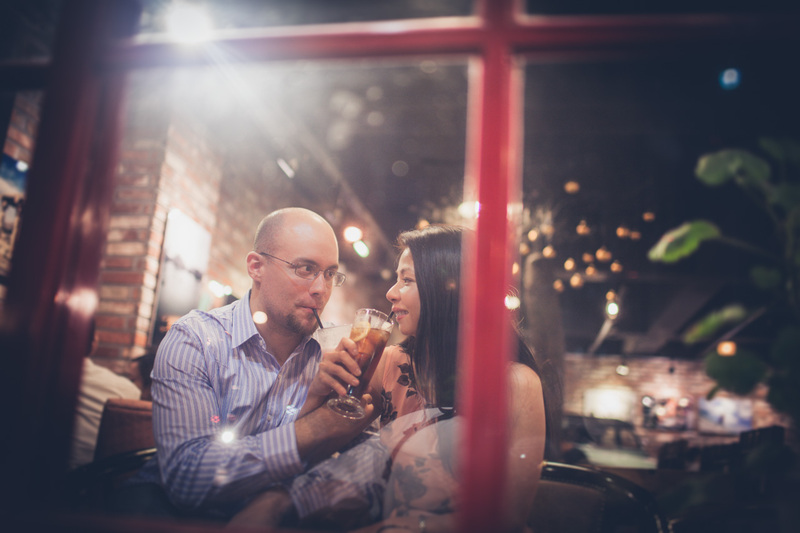 Two days later I had a pre-wedding session with Mark & Aileen from Malaysia. They kept telling me how they weren’t photogenic, but their pictures said otherwise. I received three more inquiries for the month of November, but had to turn them down because I went to Seattle for my cousin’s wedding. 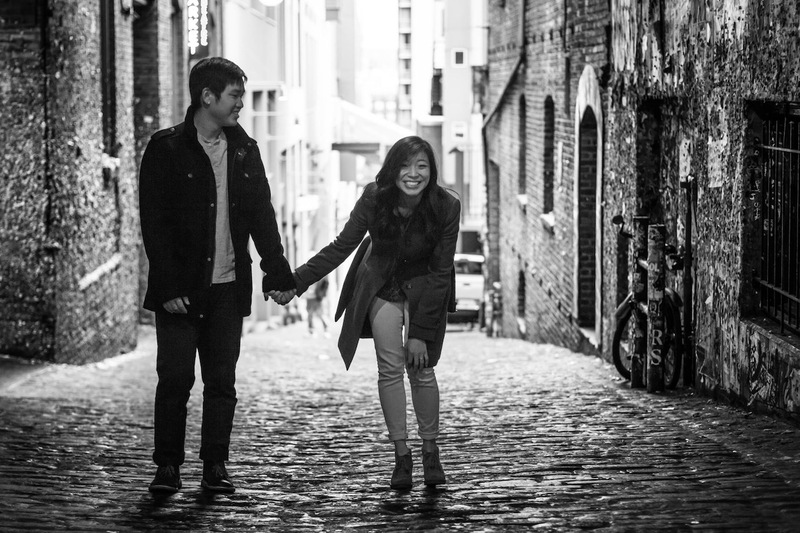 Before their wedding, I did a short session with them in Pike Place Market. On November 16, my cousin was happily married to Daniel Rim. I’m still working on their wedding video, so be on the lookout for it in the coming months. 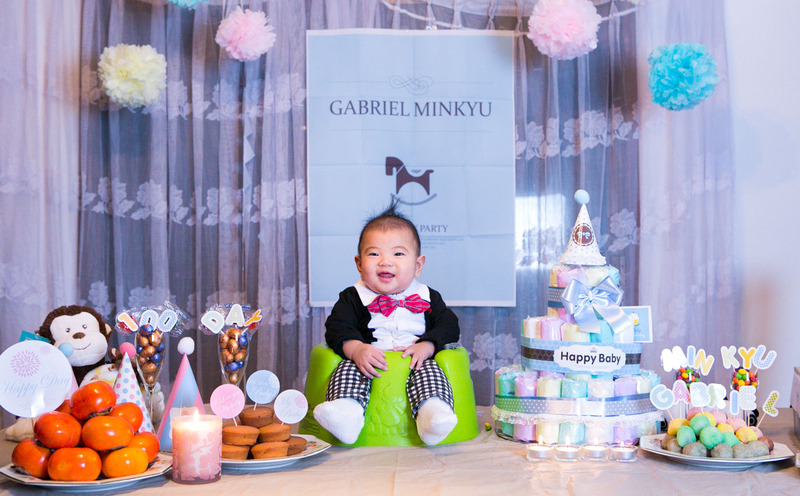 Before leaving Seattle, my wife and I setup decorations to take pictures of Gabriel’s 100-day celebration. 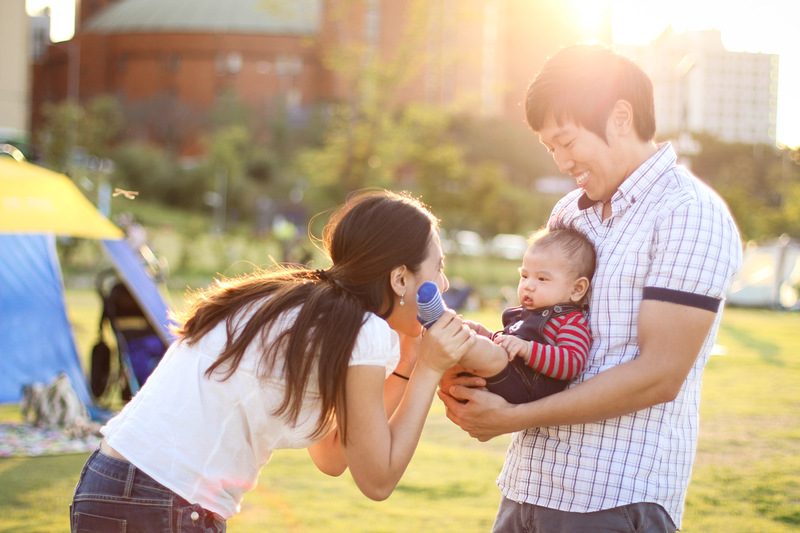 The infant mortality rate was quite high in Korea during the Korean War and post-war period. 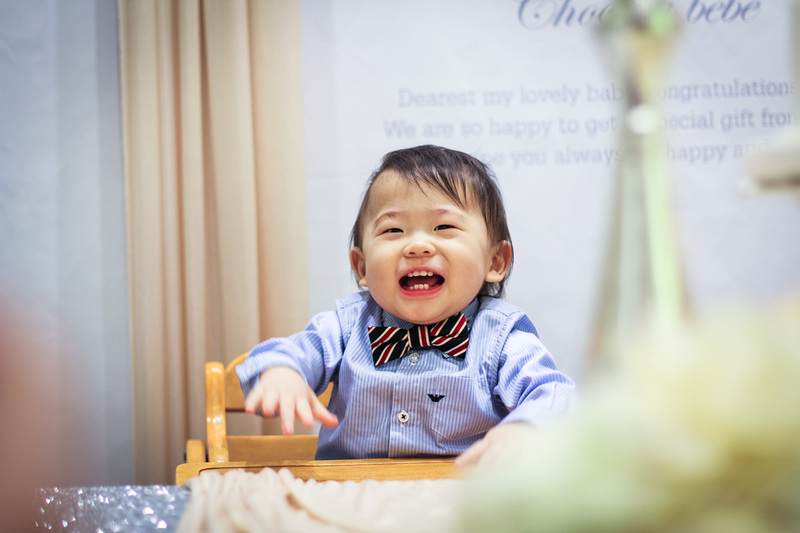 It’s for this reason that a baby’s 100th day of life is a time of celebration in Korea. I came back to Korea on November 30 expecting to rest and enjoy the remainder of the year, but somehow, it ended up being my busiest month! I had a total of 8 sessions scheduled. 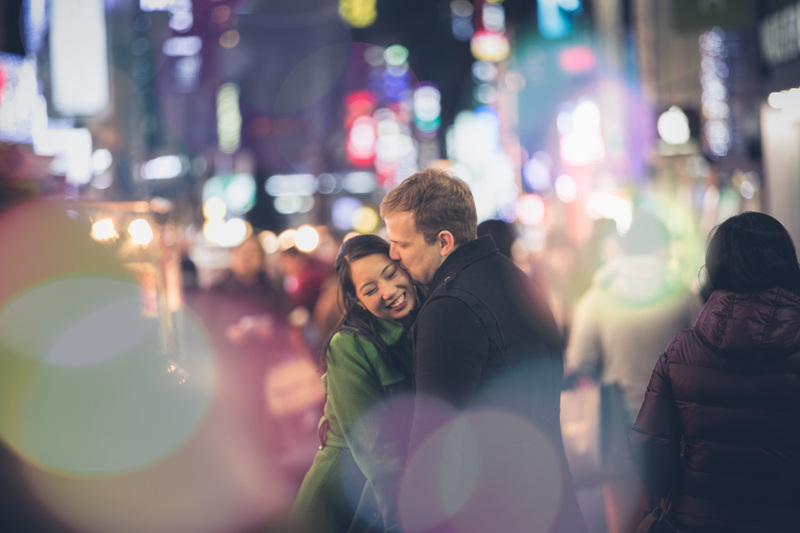 The first week of December had me at Gyeongbokgung Palace & Myeongdong for Ronnie & Steve’s honeymoon session. The following week I found myself taking portraits and engagement pictures of a couple from Saudi Arabia. I won’t be showing any of their pictures publicly, but I also had an amazing session at Namsangol with Rasyidah & Firwan that same week. 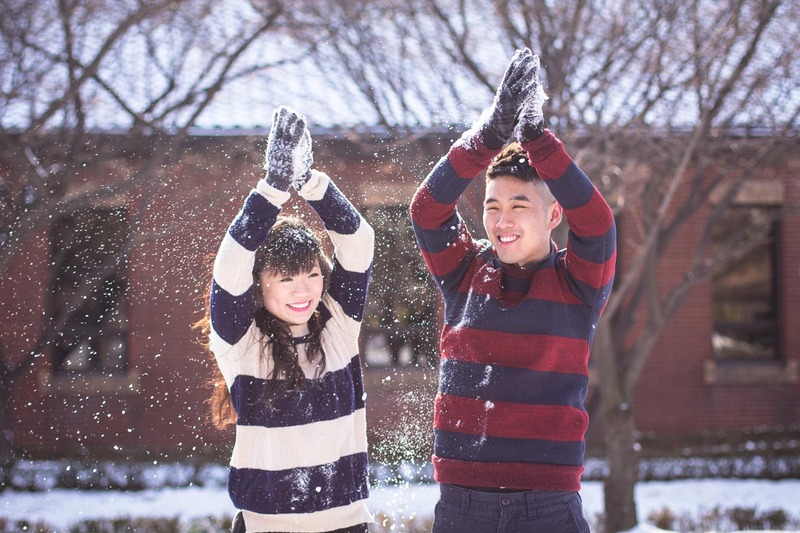 It snowed the night before and on the day of their session, so it was a dream come true for all of us. 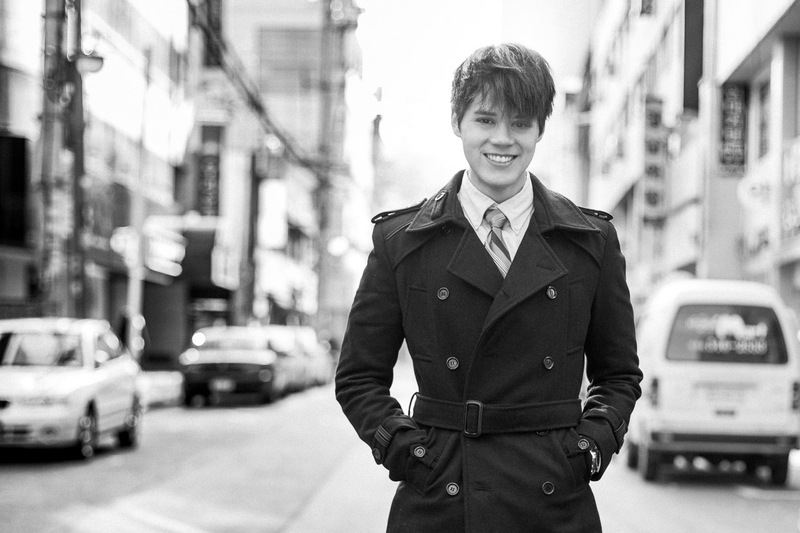 Sunday rolled around and I did a last-minute portrait session with Ian around Shinsa. He’s looking for an English teaching job, but my advice to him would be to pursue modeling. I couldn’t resist adding just one more from Katty & Gavin’s session. Nothing beats a romantic kiss in the subway stairwell as people pass by. Maybe I’m an idealist, but I truly believe every person was built with a passion and purpose to pursue. Don’t let society dictate or control your decisions. Take charge of your own fate. Use your God-given talents and don’t let them go to waste. Of course you also have to be realistic, but don’t close the doors of opportunity that do open up to you. And don’t let one failure bring you down. Often times, failure, is actually the starting point of success. My goal this year is to transition into photography full time. I understand that this could be a huge financial risk, but I hope one year from now I’ll be writing a new post as a full-time photographer. Until then, HAPPY NEW YEAR!! !